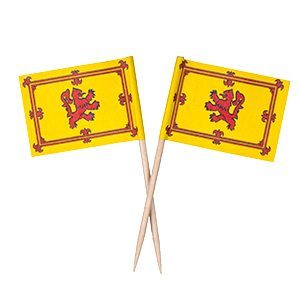 Make your party royally Scottish with these Lion Rampant flag toothpicks. Box of 1000. 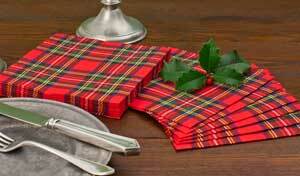 Classic wooden toothpicks wrapped with the Lion Rampant - the Scottish flag that indicates royalty is in residence. 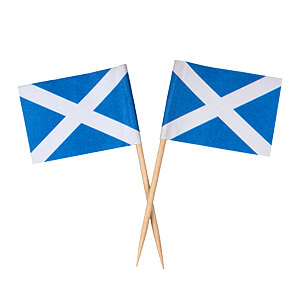 Whether the queen is visiting or not, you'll find dozens of ways to use these picks with cheese appetizers, cupcakes, smoked salmon or fruit to name a few. Box of 100.